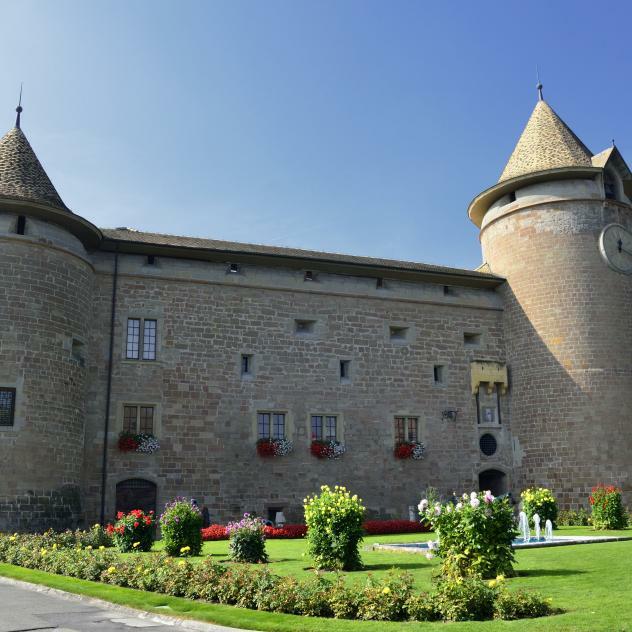 L’Envie, which was opened at the end of 2017, is ideally located in the medieval town of Morges. In a plush yet friendly atmosphere, the owners Célia Russo and Elodie Schenk take their guests on a discovery tour of their flavour and savour adventures. Straightforward, simple, appetising: the owners’ values are perceptible as soon as you cross the threshold. This has already earned them a regular clientele and a reward in the form of 13 GaultMillau points. The two young owners Célia Russo and Elodie Schenk are perfectly in synch and have launched an innovative concept: lunch at noon and a wine bar with “exquisite tapas” in the evening. Célia is a sommelier, who is passionate about good wines from here and elsewhere. She is in charge of welcoming the guests in the dining room, where 120 reasonably-priced wines are on offer to make sure everyone can enjoy a good vintage. Elodie, a young Chef who already has several awards under her belt, uses all her expertise to create inventive and delicious dishes. The lunchtime menu card is changed each week, whereas the menus of the day are concocted according to the Chef’s inspiration and market availability. In the evening, the must-taste crème brûlée with foie gras, Scottish salmon and heavenly desserts enhance and prolong the aperitif hour.